The nature of the soil in which we strive to cultivate the plants that populate our gardens is heavily influenced by the geology of the bedrock, the deepest horizon of our soil. 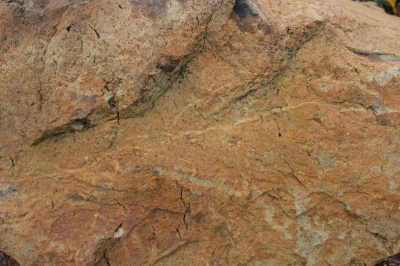 Soil, after all, is formed from bedrock and rock debris as they are acted upon by climate and vegetation over time. The bulk of solid materials in soil are minerals, which influence its physical properties (color, texture and structure) and chemical properties, including pH. 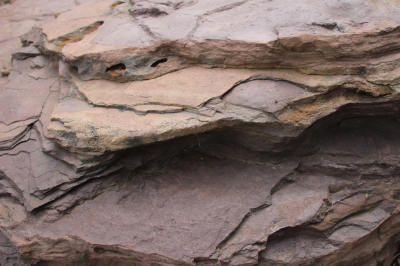 The oldest rocks in Massachusetts, in the Berkshires, are over one billion years old. The Earth itself is 4.6 billion years old. By contrast, it was a mere 14,000 years ago that the last continental ice sheet dumped its last load of rock on Massachusetts. From Mount Greylock in the Berkshires to the Boston Harbor Islands, Massachusetts has a wealth of geological wonders. From the quartz-rich sandy beaches, tidal estuaries and headlands of the coast, to the interior’s crisscrossed beds of granite, schist, basalt, limestone and marble, you can find rocks and minerals from almost every geological setting. They all ended up in Massachusetts because continents kept colliding together here, compacting rocks into tight bands, generally in a north-south direction. Over subsequent millions of years, the great mountains created by these collisions then eroded. The eastern highlands and the Berkshire Hills to the west served as sediment sources. Into the base of the Connecticut Valley swift flowing rivers deposited sand and gravel in alluvial fans (sediment deposited as a river reaches a larger body of water). By about 65 million years ago, around the time of the demise of the dinosaurs, the entire region had eroded down to sea level. A huge blanket of sediment rested on top of the bedrock. During the last one million years, continental glaciers spread ac ross New England, dropping the sea level, and advancing and retreating at least four times. The last glacial episode spread the ice sheet as far south as Long Island, Martha’s Vineyard and Nantucket. At its peak 22,000 years ago, the glacier is estimated to have been 2,000 feet thick over Worcester, and 2 miles thick over Hudson Bay, Canada. The glacier stripped off sediment and a substantial amount of material from the underlying bedrock. Then the ice began to melt. As the glacier receded, huge volumes of water poured onto the land. Glacial lakes formed in depressions and basins throughout Massachusetts. The largest, Glacial Lake Hitchcock, filled the Connecticut River valley from Northern Vermont and New Hampshire south to Connecticut. Approximately 12,400 years ago, the lake finally emptied when the rock and sediment dams at Rocky Hill, Connecticut, and then at the Holyoke Range were breached. The life span of Lake Hitchcock was 3,600 years. During that period, sediments on the lake bottom accumulated and from time to time, sand and gravel were laid down onto the sediment. Today, throughout the valley area and its perimeter, horizontal planes associated with the lake’s varying levels can be found in the form of features such as wave-cut terraces, cliffs, shorelines and sand beaches. In the uplands of Western Massachusetts as well as to the east of the State, the melting ice sheet shed its load, a 10 to 15 foot thick blanket of till. This heterogeneous mixture of sand, gravel and boulders, in a matrix of compacted clay, now drapes the glacially polished and scratched bedrock and determines the underlying soil structure of your yard and garden.